All work is carried out on site, taking the greatest of care to ensure that your order is completed to exacting specifications. Personalized, attentive service to our clientele is our priority. Out of the thousands of varieties of mouldings available, there is, believe it or not, one just for you. The same can be said of the vast array of colours and textures of mat boards to choose from, exclusively in 100% cotton and archival quality. We also offer a range of glazing products, from regular clear to high-clarity, reflection control and UV protective glass. The aim of the game at Cadres Superieurs is to protect and conserve your work,while also creating a beautiful piece that you and future generations will live with for years to come. 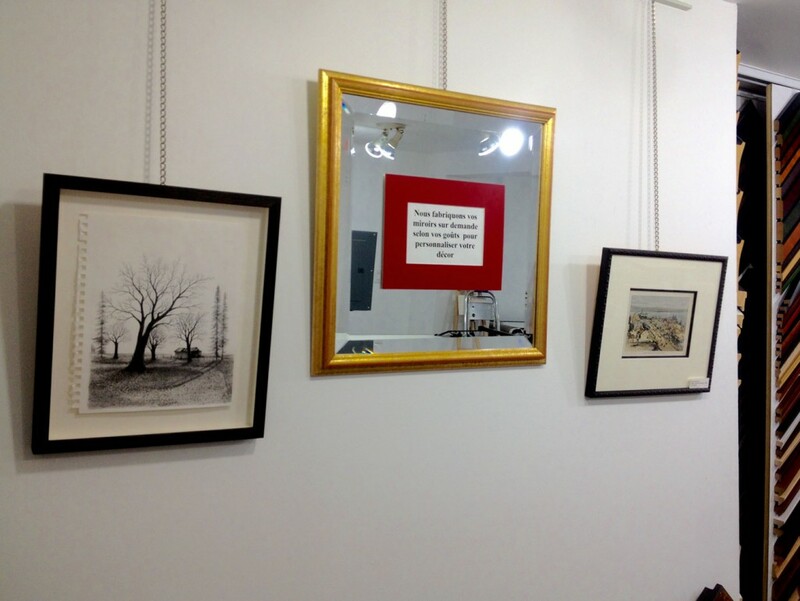 Each work of art is unique, and your frame should be too! All work is made to measure, bespoke and hand-made on site. 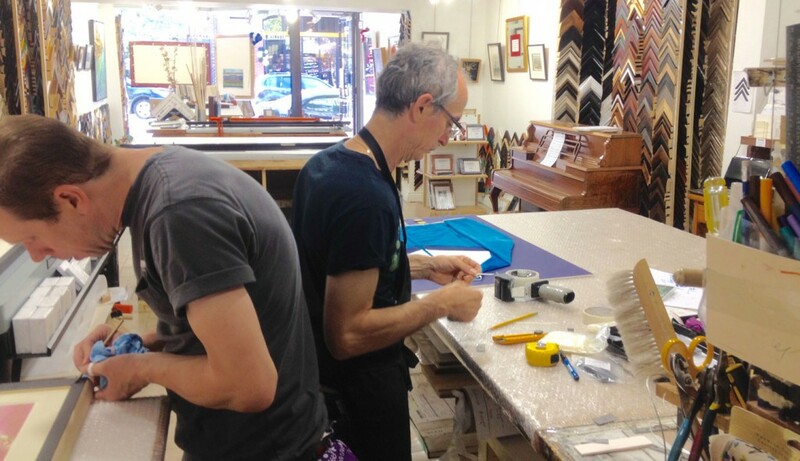 We measure and cut your mat, frame and glass, mount and assemble your frame, and even perform little dances on command. At Cadres Superieurs, we can frame (and have framed), just about anything: fine art pieces such as paintings on canvas, water colours, and prints of all kinds; souveniers like the Batik you bought in Bali, the fine Chinese paper cut-out from Shanghai, or the antique map of the city you found in Paris; old family photographs and mementos; sports jerseys and collectibles; objects of all kinds like coins, medals, olypic torches, swords and... moustaches. We also offer lamination and dry mounting services, suitable for commercially made posters and photographs. And sometimes you need your frame right away, say for a last-minute gift or a special commemoration. Besides keeping a range of standard-size frames in stock, we also offer same-day service for those in need of an emergency frame.